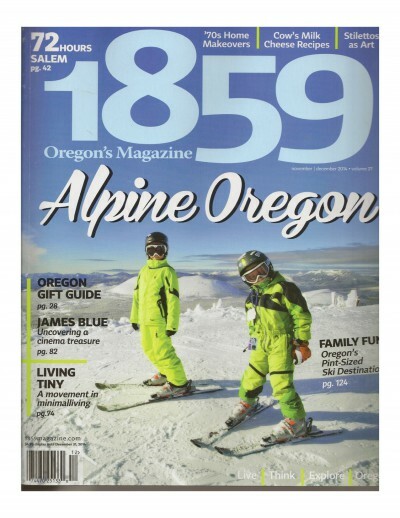 Editor Max Giffin wrote a terrific story in the November-December, 2014 issue of 1859 on the importance of James Blue. 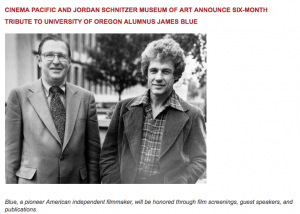 In his Editor’s Letter preceding the story, Giffin writes: “There is almost a feeling of guilt for those of us who should have known about or known more about Oregon’s first Cannes Film award winner…His brother, Richard Blue, together with a small and dedicated staff at Special Collections in the University of Oregon Knight Library, is working to preserve and archive James Blue’s personal history.” Read the full article here. 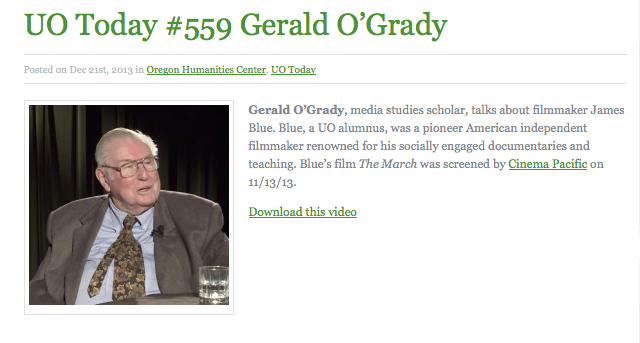 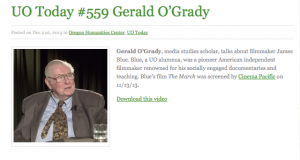 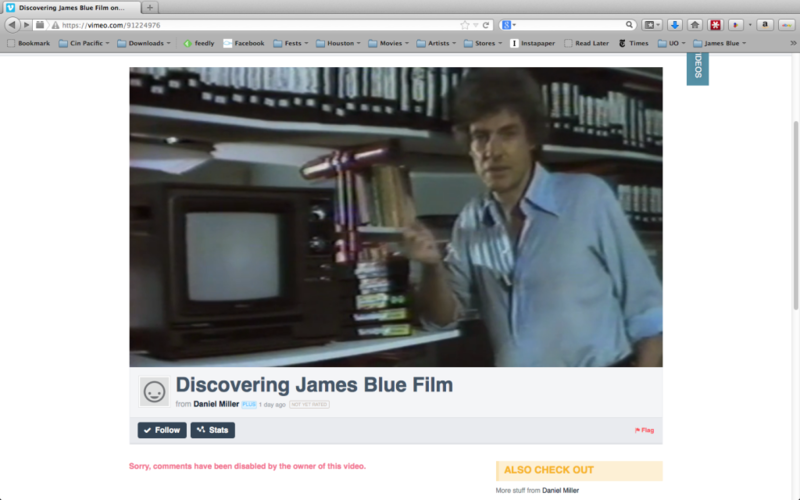 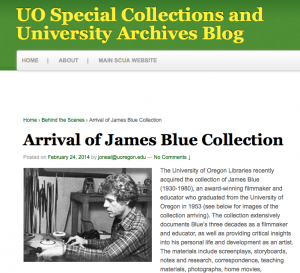 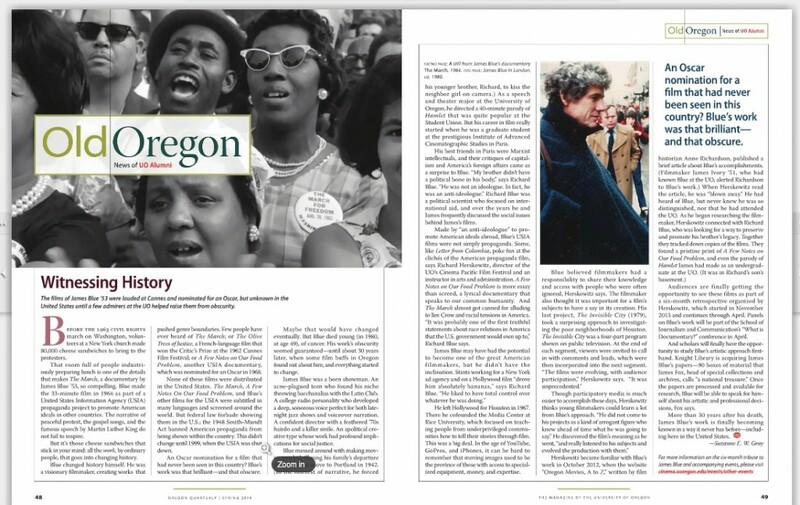 Three UO Journalism and Communication students, supervised by Professor Daniel Miller, directed this new short film on James Blue and the arrival of his archive at the University of Oregon Libraries.